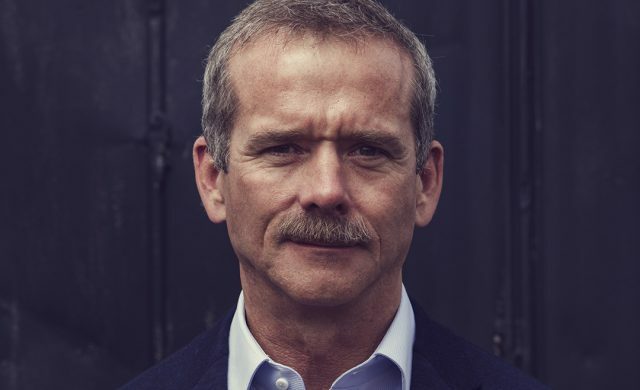 Tickets to the Chris Hadfield keynote at Brandon University’s 50th-anniversary Homecoming next month have sold out. Tickets to the event went on sale Monday at noon and the last one was snapped up by mid-afternoon on Wednesday. Hadfield, a decorated astronaut, engineer and pilot who soared to success as the first Canadian Commander of the International Space Station in 2013, and who has authored three internationally bestselling books, will speak at the Westman Centennial Auditorium on Friday, Oct. 12 as part of the BU50 Homecoming. The Hadfield keynote is one of the fastest recent sellouts that WMCA staff can recall. As well as the public evening keynote, Hadfield will speak earlier that afternoon to selected early and middle-years students from Brandon and southwestern Manitoba. Arrangements for selecting those students are currently being made through schools and school divisions. Brandon University’s Homecoming is an anniversary party that everyone is invited to, and includes Bobcat athletics matches, food trucks, a street concert, BU Observatory time, a Family Day, reunions and much, much more. See BrandonU.ca/Homecoming for a full schedule and more information.